The Situation: Kumtor Operating Company develops and extracts gold-ore deposits in Kyrgyzstan. Throughout the late 1990s, several Kumtor accidents threatened people’s health and safety. In 1998, a tragic cyanide spill, which Kumtor did not notify local residents about, disabled some 2,000 people. 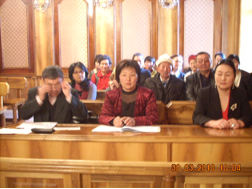 Social organization KAREK filed a lawsuit against Kumtor demanding compensation for the victims. As a result of their work, KAREK’s members and office have come under repeated threat. The Rapid Response: In 2010, KAREK used an Urgent Action Fund grant to respond to increased threats. The group purchased vehicles and cell phones for the protection and security of the threatened activists, installed security measures in its office where activists engage in advocacy, provided training for activists’ safety, and sent activists to a peace rally at the Constitutional Court. 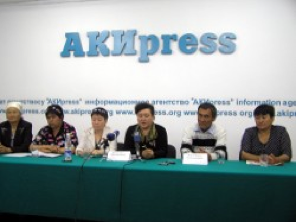 The Impact: Women human rights defenders quickly mobilized in providing assistance to women and victims of the spill.